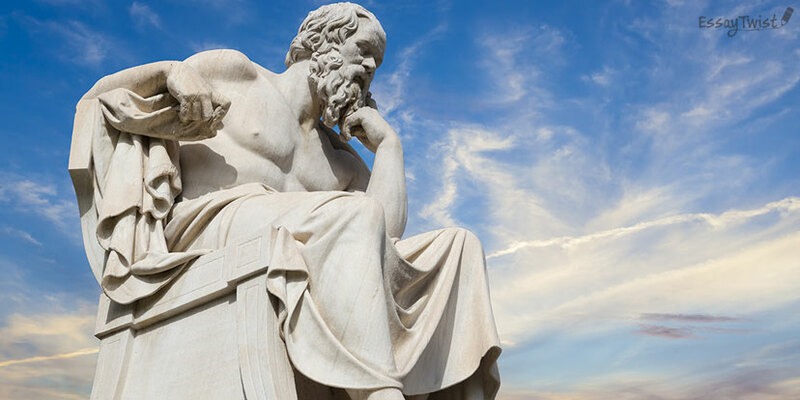 How to Create a Philosophy Essay? One of the hardest college tasks is writing a philosophy essay from scratch. Even if it seems to be an easy subject, there are thousands of pitfalls which can make the process of work challenging and complicated. It is a typical situation when a philosophical term looks absolutely strange. Some of the concepts and theories are quite hard to comprehend without spending several hours on reading the textbooks on the topic. That is why it seems to be an extremely complicated task. Our team has developed a simple plan which can help you to deal with such assignments without going an extra mile. After you submit your paper to a teacher, you will see that our ideas are truly effective and bring you some real benefits. One of the typical mistakes is using too broad theses while writing an essay. Although most of us think that terminology is complicated and cannot be explained in a few words, it is possible to create a brilliant paper using short constructions and avoiding wordiness. In this way, your work will be much easier to comprehend. Moreover, you will deliver a particular message clearly without dispersing the attention to various minor issues. Try to think well before putting down anything. As a rule, it is possible to shorten a text without deleting significant and meaningful statements. While writing a paper on such subjects as philosophy, it is crucial not only to review others’ papers and theories but also be able to express your personal ideas. Use your analytical skills to complete the task. As a rule, teachers would like to see your personal opinion on a particular theme as well. However, one must be careful here since the most important task is to maintain a reasonable balance between different thoughts. This is not an easy task and you need to train to succeed in this. Hence, it is important to be able to rethink and conclude the material which you have been working with. It is also a good idea to add a specific section with your personal thoughts. Make your specific contribution to the research. Sometimes an essay looks boring and poorly written just because of the complicated statements. Try to simplify them in order to deliver your thoughts in a clear and understandable way. Moreover, you should be accurate with various terms. If you fail while using them, it becomes the significant reason for lowering your grade for this essay. Take into account the level of vocabulary you should use. For example, there is no need for the complicated terminology in writing a high school essay. However, the university level requires it by default. Very often, essays are overloaded with quotes and citations of famous authors. It is true that you have to consult with significant works completed on your subject. Nevertheless, it does not mean that your essay should fully consist of them. It is much better to use paraphrasing and deliver someone’s ideas in your own words. In this way, you will show the personal comprehension of these concepts and link the borrowed materials to your essay novelty. Sometimes the philosophical theories and hypotheses presented by well-known authors look strange and unknown to us. There is no wonder why it happens as many of these works should be deeply analyzed before you finally get the main idea. It is a pretty good idea to read the explanations of these papers. In this way, you will not be trapped in the complicated flow of the author’s thoughts as they are already paraphrased and simplified for you. All in all, there are several easy ways of writing such essay without wasting your efforts and time. It is not as difficult as it seems to be for you. Furthermore, you can get really interested in the creation of such a piece. Forget about your fear of such papers. Follow our tips and hints to produce the best result. Rated 4.6 | 77 votes.